Baby Alpaca Fur Teddy Bears | Sun Valley Alpaca Co.
Our 100% baby alpaca fur teddy bears are handcrafted, unique and incredibly silky soft. Isn’t it wonderful how stuffed animals bring out the child in anyone? These beautiful heirloom alpaca teddy bears are no exception. Many times they become loving mementos to pass from generation to generation. An alpaca fur bear is a friendly fur collectible (No alpacas are harmed to obtain alpaca fur) and each one is something special to be shared with children, and grandchildren, not to mention grown-ups! With just one touch, they get you - our bears are irresistible! They are a great way to say something special! We have been producing alpaca fur bears for over a decade and some of our customers have shared their stories with us. Stories of how they sent bears as get well gifts, bereavement companions, bears for Valentines Day, bears bearing engagement rings, gifts for bridesmaids and flower girls, ring”bear”er pillows and more. It seems these wonderful companions bring out creative whimsy and delight the recipients, over and over again. Child safe glass eyes & suede nose (both safety backed). Huggable with a soft, pillow-like body. Made by hand from 100% real baby alpaca fur in natural colors. Choose from solid colors or multi which is a combination of 2-3 natural colors. Hypoallergenic and filled with new poly-fill fiber stuffing (Meets or exceeds all state requirements for filling). No two bears are ever the same. Images are shown for a conceptual understanding of the natural color, which can vary in lightness/darkness. Bears shown are all 10". Your bear will be sized according to your choice. Each bear has its own look and fur structure - Images represent the quality of the bears and images shown are all 10" size. Available in 10", 12", 16", and 18"
So soft and cute! Bought for my niece as a birthday present and she absolutely loved it. This bear is a great quality. Very similar to the bears and stuffed animals you buy in Peru. Will definitely purchase again for other niece. These teddy bears are absolutely lovely. My daughter and I are so pleased with them. I had previously ordered three from two different sources here in the UK, but, unhappy with their quality, had to return them. These, however, are a world apart, beautifully made and so cuddly. 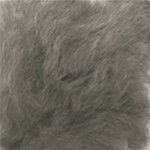 The fur is wonderfully soft, and their cute faces will put a smile on yours! A huge thank you to Heather in the customer service department for all her help! My granddaughter wanted an Alpaca teddy bear for Christmas. I had never heard of this type of stuffed bear so I went online to order one. I was surprised to see how soft the fur is on the bears. I know that she will love it. I ordered the multi-colored one. He's adorable! Fast service too! Tomorrow is my daughters 10th birthday. Her dog had torn up her other "Ally" bear 2 weeks ago. This will be a wonderful surprise and I know that she will love this so much! softest alpaca teddy bear we have found! This alpaca bear made my son's day! He had recently lost his favorite alpaca bear and was so distraught. I searched all over for an alpaca bear that looked just like the one he had. We were so excited to open the box and see just how cute, soft and wonderfully made the bear was. I wish you could have seen my son's face when he first saw the bear! He couldn't have been happier and the first thing he said was "I love it!!" He has to have his 'paci bear' when he goes to sleep and he holds it tight all through the night. We have purchased alpaca bears from other places but this bear is by far the softest and best quality of all the bears we have owned. And the people at Sun valley Alpaca Co. are so friendly and respond to your emails right away. Thank you for the beautiful bear! *Thanks Shannon for the review and the photo! We have uploaded it with our product photos above! These teddies are so soft and wonderful colors. I am so pleased. Softest and cutest bear ever! I have an Alpaca fur keychain my son loves to touch and rub on his cheek. For Christmas I got him the 12" Classic Alpaca Teddy Bear in a fawn/brownish boy color. My son loved it at first site and hugged it while exclaiming how soft the bear was. He sleeps with it at night or lays with it while watching saturday morning cartoons. The quality of this bear is extremely outstanding! I think every child should have one! I LOVE your bears. They are the best out there. My kids adore alpaca toys and these are the best I have ever seen. They will love them this year! What impressed me most about this bear is that it's handmade. 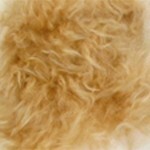 The fur almost sounds leathery, the skin is soft and as clean as it could ever be. It's so adorable and a perfect quirky gift for anyone that appreciates quality. I was interested in purchasing alpaca stuffed bears for my 6 adult children and bought one last week for myself to see the quality and softness, not too mention "cuteness" factor. I was so happy with my 12 inch classic bear for myself that I am buying 6 more for all my grown children. I found this bear to be very soft and hug gable! I love this bear!